SUMMARY: The body of a woman who everyone knew is discovered near an Italian lake and the small town investigator must determine who is guilty of the crime… but no one is talking. DETAILS: Alright, let it be known that the only reason I watched this film is because I wanted to see Toni Servillo’s performance. 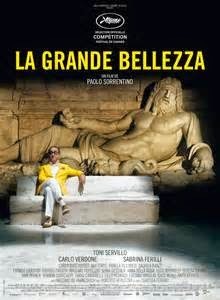 I had enjoyed his acting in La Grande Bellezza and wanted to see some of his other films, but La Ragazza del Lago (The Girl by the Lake) left me disappointed on several levels. It’s the story of a woman’s body who is discovered naked, covered with a coat, by the lake in a small town in the Italian alps. The film begins with mystery and intrigue and the web is spun, but by the story’s end, you realize that most of the web was irrelevant. It just didn’t come together like it could have. Servillo’s performance is not up to his screen presence in La Grande Bellezza, but ultimately, this story just falls flat. Spend your 95 minutes on something more worthwhile.